I was never much of a Halo player. I think the last first-person shooter I took seriously was Duke Nukem 3D back in '96. OK that's not entirely true, but for whatever reason, I just never got around to playing more than a few minutes of the game here and there before getting frustrated and limping back to my Atari to play Missile Command. Well thanks to former Microsoftee, Ed Fries, fans can now spend QT with their 2600 consoles and play Halo at the same time, sort of. 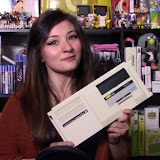 Yes the man who was originally responsible for bringing the smash-hit and its developer, Bungie, to Microsoft way back in 2000, has figured out a way to shrink it, well a version of it, into 4K, the standard size for an Atari 2600 cartridge. It originally started out as simple retro-coding project that Ed was working on for fun before he eventually fleshed it out into a full-fledged, and pretty engaging, homebrew Atari 2600 game. 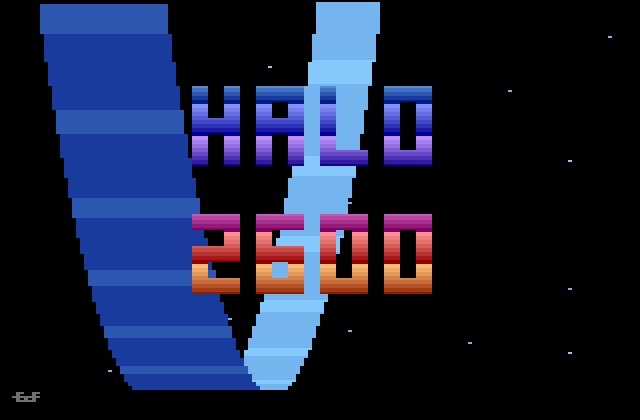 There are a handful of physical copies floating around out there that were distributed by the AtariAge.com guys at the 2010 Classic Gaming Expo in Las Vegas, but your best best is to play Halo 2600 online HERE for free. Or if you want to download the ROM to use with your favorite 2600 emulator, you can do that HERE for free. Have fun and frag away!